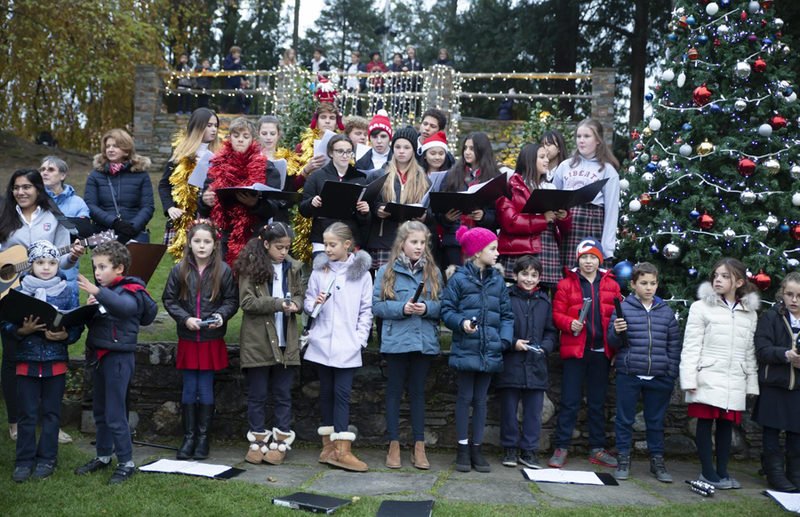 TASIS The American School in Switzerland kicked off the holiday season with the annual TPA Holiday Market and Christmas Tree Lighting Ceremony on the chilly afternoon of November 30. Guests had a chance to purchase crafts, baked goods, and other delicious food at outdoor tables run by the High School’s Service Learning Program groups; children built their own holiday crafts in the Palmer Center, which was transformed into a Winter Village; and everyone gathered around the TASIS Christmas Tree at 16:00 to hear welcoming remarks from Headmaster Christopher Nikoloff and enjoy a few carols sung by students and faculty members. When it was all said and done, the event—thanks to the TPA, the many student and faculty volunteers, and the incredibly supportive TASIS community—managed to raise CHF 2860 for the Service Learning Program! 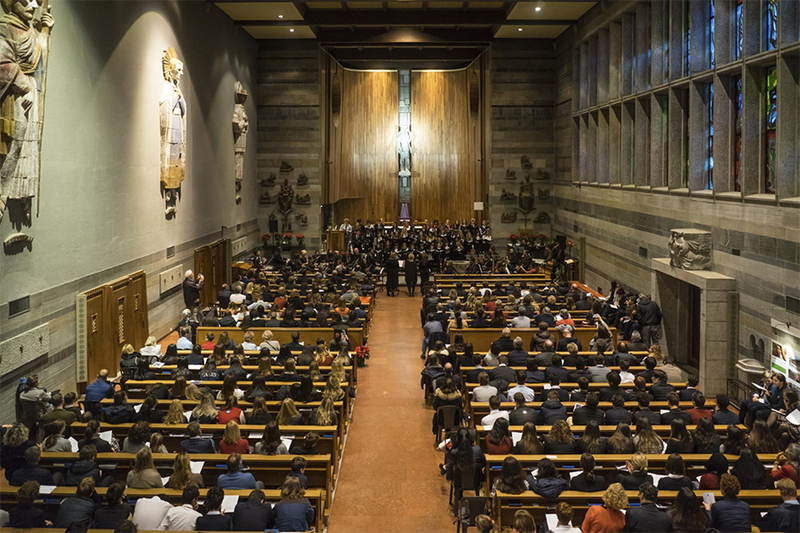 The annual TASIS Christmas Service was celebrated at the church of San Nicolao della Flüe on the afternoon of Sunday, December 9. Readings were delivered by Elementary School Music Teacher Melody Zanecchia, Giovanni Ugolotti ’23 and Alessia Primo ’26, Michele Cipolini ’21, Headmaster Christopher Nikoloff, and Chairman of the Board Lynn Fleming Aeschliman ’63 while Don Marco Dania and Jessica Surer presented the Invocation and Benediction. High School Music Director Samantha Forrest directed the charming musical program in collaboration with Middle School Choir Director Jami Reimer, Elementary School Choir Director Melody Zanecchia, and Faculty and Community Choir Director Tamara Schumacher. See the Christmas Service program for a full list of participants, enjoy a photo gallery on the TASIS SmugMug page, and watch the full service below. 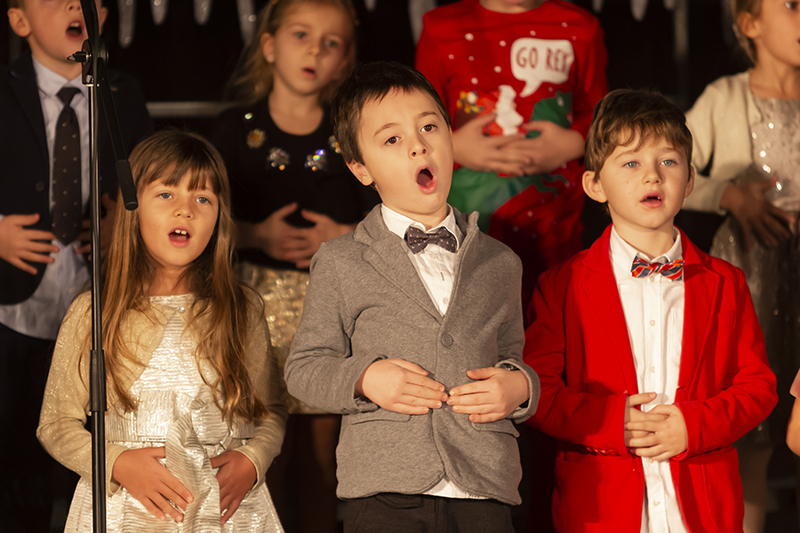 In the weeks leading up to the Winter Holiday, Elementary School students enjoyed a holiday singalong and visit from Santa Claus, presented their Fall Theater Workshop, created gingerbread houses and did other fun holiday-themed activities in the classroom, and busily prepared for the annual Elementary School Christmas Concert, which was held in the Palestra on the morning of December 14. Guided by Music Director Melody Zanecchia, Music Teacher Matthew Frazier-Smith, and Dance Teacher Julie Frazier-Smith—and accompanied by the Elementary School Christmas Band of Gloria De Piante Vicin, Alessio Di Tonno, and Daniel Bagutti—the talented young singers, instrumentalists, and dancers performed 10 delightful holiday numbers. See photos from the concert, read the program (which features many contributions from student artists), and watch the full performance below. Middle School students in the Staff Appreciation Service Learning group prepared and hosted a delicious lunch for personale on the afternoon of December 5, the Middle School Theater Club presented a Drama Workshop in the Palmer Center on December 6, and the Middle School Christmas Celebration, which included a formal dinner followed by dancing and games, was held on campus on the evening of December 8. The TASIS Faculty and Staff rang in the holidays with the annual Egg Nog Christmas Party in Casa Fleming on December 4, the TPA Faculty and Staff Panettone on December 6, and the formal Faculty Christmas Dinner in Villa De Nobili on December 14. 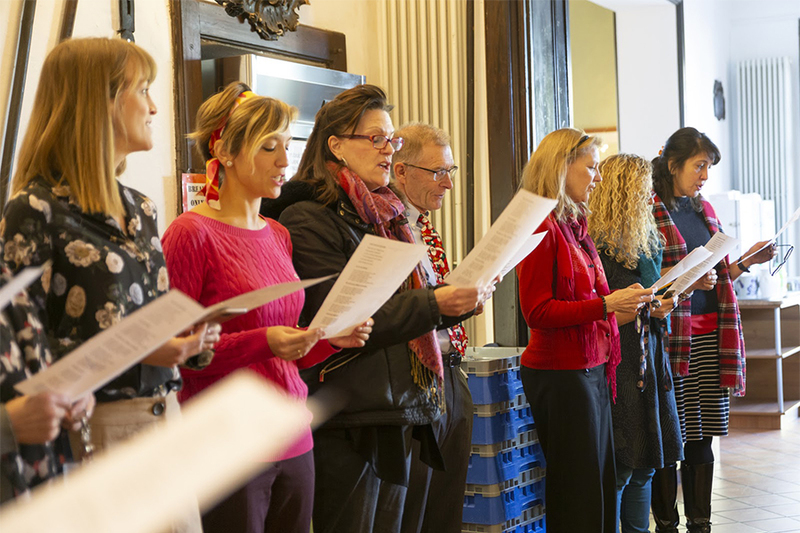 Faculty members also carried on another annual tradition by singing Christmas carols for the personale on the morning of December 11.